Hi there! Today I made a cute project using two stamp sets! They are called Canning Basics and Spread the Love! The sentiments and jar are both stamps from the new sets! I made a tag out of the jar and tied it onto some homemade jam with some raffia! I LOVE this Kim!!! Would be perfect for canning party or exchange invitations too. 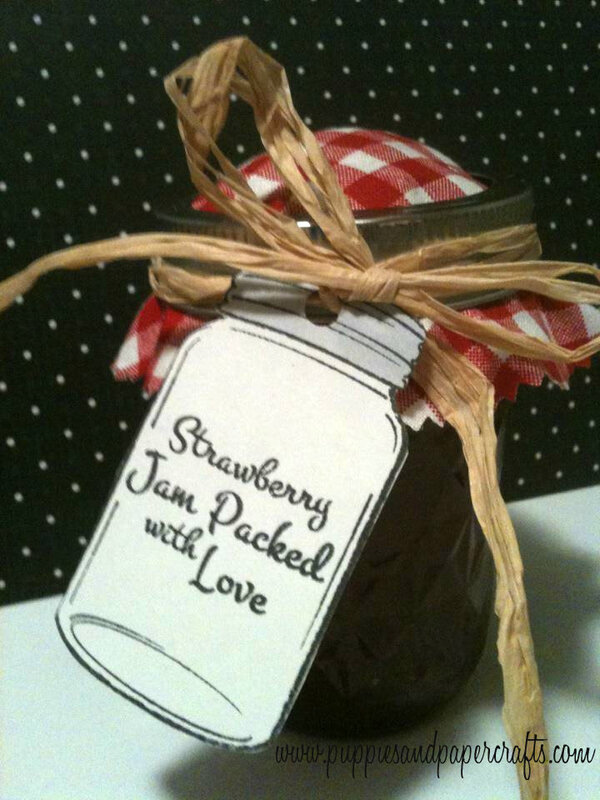 Such a cute canning label! This is really cute Kim. They make perfect gifts for any occasion and the stamp sets are just perfect.